Join us on a walking tour in Battambang city! We will explore Battambang’s fascinating architecture, history, and culture, which has been shaped by Khmer, French, and Chinese influences. Walk towards some of Battambang’s most well-known architectural structures, including the National Bank and the shops along Roads 1 and 1.5. 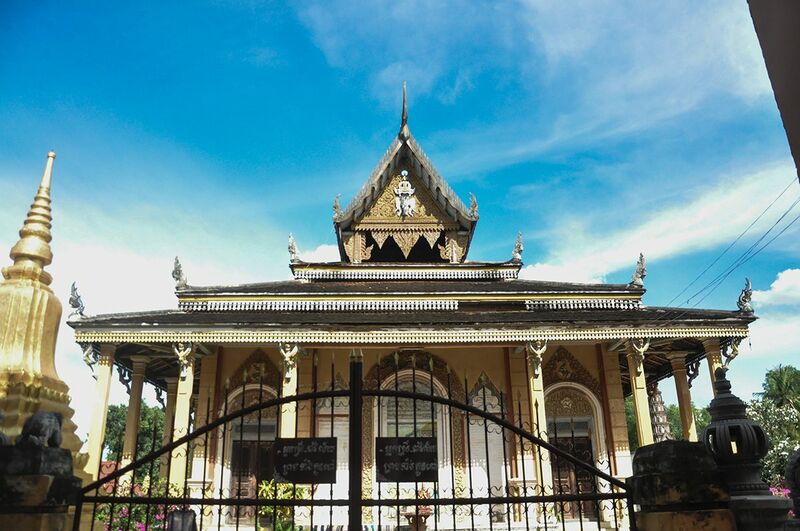 Explore the interesting mix of Khmer and French architecture—a reflection of Battambang’s rich, eclectic history. As we walk past Battambang’s famous Ta Dumbong statue and the Old Bridge, your guides will lead you to a pagoda, where you will be able to observe locals going about their day to day lives. This trip made to design your relaxing walk around the city and through the hidden gems of different foreign and Khmer architectures. You will be taken to the best spots of Battambang city.